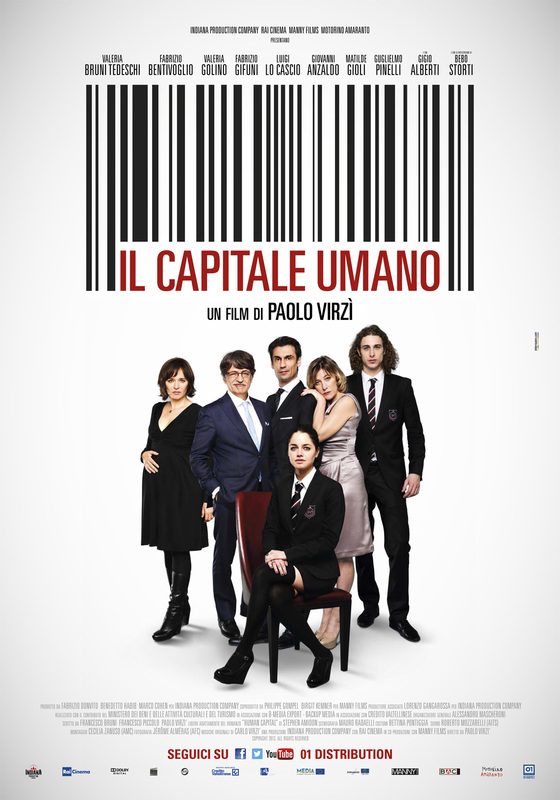 Italiensk Kulturforening i Stavanger - Filmkveld: "Il Capitale Umano"
Human Capital (Italian: Il capitale umano) is a 2013 Italian neo-noir film directed by Paolo Virzì. The film is based on the American novel Human Capital by Stephen Amidon. For her performance in the film, Valeria Bruni Tedeschi was awarded Best Actress at the 2014 Tribeca Film Festival.